Ok, you've done it. 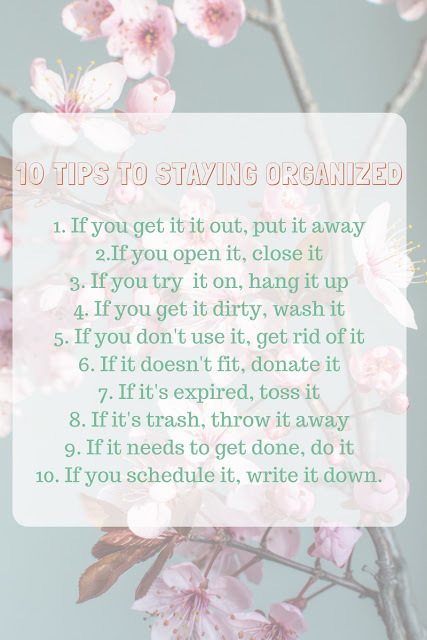 You've watched enough Marie Kondo on Netflix that you finally started getting rid of that clutter holding you back from living your best and most organized life. That, or, you sat amongst all your cluttered crap and just watched in horror...and maybe cried a bit. Whether you did it on your own (good for you!) or decided to hire me (hopefully), good for you! Now, it is time to STAY organized. Here are some quick and effective ways to be mindful about your mess. 1. If you get it out, put it away. Once you use it, put it back where it goes. Everything should have a place, and everything must go back to said place. No matter what. 2. If you open it, close it. Drawers, cabinets, anything. Leave everything as you found it...closed. 3. If you try it on, hang it up. Literally, this takes two seconds. When getting ready, often things don't look right, feel right or you are on the verge of a clothes attack. 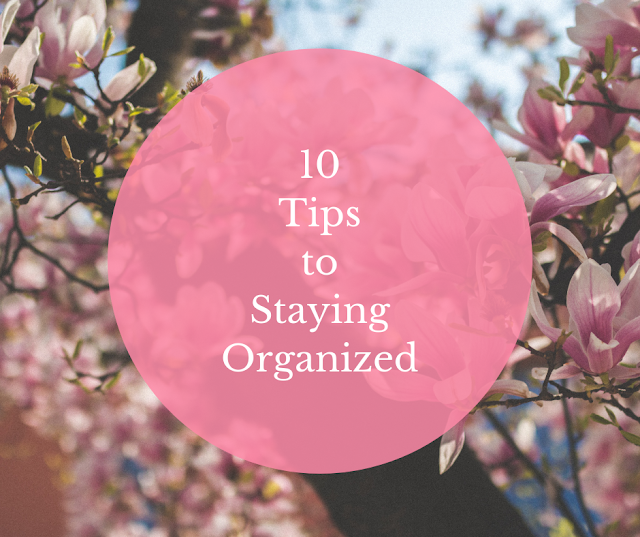 Instead of letting things pile up in heaps on the floor, take little bit of time to hang it back up and put it away. 4. If you get it dirty, wash it. When you use a dish, cup or utensil, wash it and put it on your drying rack or throw it in the dishwasher, Do NOT leave things in the sink. Get in the habit of always cleaning up after you use the kitchen. 5. If don't use it, get rid of it. If you have ANYTHING you haven't used in the last six months, get rid of it! Let it go to another home where someone will use it. Free up the space in your home for things you DO use. It is time to let go and say goodbye. 6. If it doesn't fit, donate it. Saving that mini skirt hoping you'll be able to fit into it again? Well, don't. If you have a section of clothes you save for fluctuating weight (a bin of maternity clothes doesn't count) it is time to let go. If you wear it now and love it keep it, otherwise donation pile. 7. If it's expired, toss it. Go through your medicine cabinet and pantry to ensure things are up to date. If not, toss them. 8. If it's trash, throw it away. This is a big one for me, trash. GET RID OF IT! When you open a letter, DO NOT put it back in the envelope it came in, throw it away. Wrappers, cups, packaging and everything in between. Don't just set it down throw it away. 9. If it needs to get done, do it. Make a to do list and knock it out. I always have one going and am constantly adding to it and crossing things out. Make notes of what needs your attention, where you can see it and get it DONE! 10. If you schedule it, write it down. Whether a calendar on your phone or something in your home, if you plan it, write it. This will help you keep your appointments and commitments in order. With these easy (and often super fast) habits you will soon start to see your neat and tidy spaces stay that way. It is time to change your mindset and change your life. What other tips do you use?